Brokerdealer.com blog update courtesy of InvestmentNews’ Mason Braswell’s 16 March article, “Ex-NFL player left out in the cold after $2 million award”. Ex-NFL and former Green Bay Packer tackle, Bruce Wilkerson found himself in a ponzi scheme has won some money back from a defunct broker-dealer but won’t be able to recover it all. An excerpt from InvestmentNews is below. Resource Horizons Group, a defunct broker-dealer that had racked up more than $4 million in unpaid damages from arbitration claims, can add another $2 million to that list. 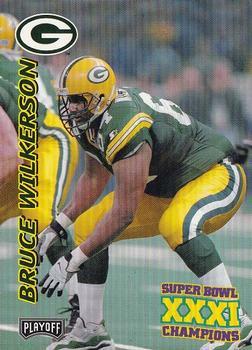 Bruce Wilkerson, a former tackle who started for the Green Bay Packers in the 1996 Super Bowl, was awarded $2 million in damages last week after losing $650,000 in an alleged Ponzi scheme carried out by a rogue broker at the Marietta, Ga.-based firm. Mr. Wilkerson, however, is not likely to ever recoup any of the money, which represented a substantial portion of his net worth, according to his attorney, Adam Gana. Resource Horizons Group, which had around 220 brokers, went out of business in November after accruing more than $4 million in judgments against it from two arbitration awards, which it could not afford. The Financial Industry Regulatory Authority Inc. officially suspended the firm in December for failing to comply with a $4 million award and then in January canceled Resource Horizons Group’s license, according to its public BrokerCheck record. The firm, which had only around $500,000 in excess net capital on hand, has paid only a “very small percentage” of the $4 million award, according to the attorney in that case, John Chapman of an eponymous firm. 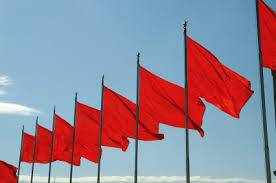 Mr. Chapman said Resource Horizons Group had applied for insurance coverage around the time the first complaint about the alleged Ponzi scheme cropped up, but was denied coverage because of the nature of the fraud. The arbitration awards are tied to an alleged rogue broker at the firm, Robert Gist. In 2013, Mr. Gist agreed to pay $5.4 million to settle charges from the SEC that he had conducted a Ponzi scheme and converted funds from at least 32 customers for personal use between 2003 and 2013. Mr. Gist could not be reached for comment. He conducted the scheme and made false customer statements for clients through Gist, Kennedy & Associates Inc., an unregistered entity not affiliated with Resource Horizons, according to the SEC’s complaint. Several clients, including Mr. Chapman’s, filed claims against the firm and its top two executives, David Miller and his wife, Kelly Miller, for negligence and failing to supervise Mr. Gist. They were held jointly liable along with the firm for the nearly $4 million in claims from Mr. Chapman’s case. To read the entire article from InvestmentNews, click here. Brokerdealer.com update courtesy of Mandy Perkins from Bank Investment Consultant. California-based RIA is in big trouble after leading investors to believe that what they were doing was given the OK from the SEC. 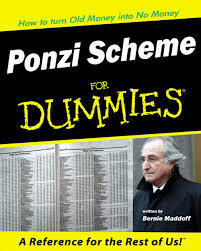 GLR Advisors were running a basic ponzi scheme over the last ten years with no one including the SEC noticing until recently. Most advisors know better than to oversell a product’s performance, but what about its “approval” by the SEC? Between 2005 and 2011, the SEC says, the firm advertised its “SEC approved” GLR Growth Fund as having returns of 17%-25% during every year of its operation. The commission says GLR’s marketing materials claimed the fund was “tied to well-known stock indices such as the S&P 500, Nasdaq and Dow Jones, as well as in oil, natural gas and technology-related companies.” But since mid-2009, the regulator says, the fund did not invest in any publicly-traded securities. Instead, funds were placed in “illiquid investments” in two private startups and used to pay back other investors and fund the “entities Geringer controlled,” the SEC says. Geringer could not be reached for comment. His attorney William Michael Whelan declined to comment on the case. Needless to say, registration with the SEC does not imply endorsement by the regulator. So why were these advisors able to get away with it — not to mention the Ponzi scheme — for so long? According to Todd Cipperman, principal at Cipperman Compliance Services, the SEC can only examine about 10% of advisors each year, making it easier for bad behavior to go undetected. But even advisors who aren’t using false statements or running fraudulent schemes should be careful about how they market their services — particularly when mentioning SEC registration. The SEC’s decision to bar Geringer comes just weeks after one of his partners in the business, Chris Luck, was sentenced to 10 years in prison and ordered to pay over $33 million in restitution for his role in the scheme. Last year, both Luck and Geringer pleaded guilty to securities fraud, mail fraud and conspiracy to commit mail and wire fraud, according to SEC and Justice Department documents. During the trial, Luck told a California court that investor money brought in by the fund paid both his salary and bonus payments, according to the sentencing statement. Both Geringer’s case and that of another partner, Keith Rode, are ongoing, according to court records. Finra has barred a broker-dealer and its founder for allegedly defrauding a number of current and former NFL and NBA players out of nearly $14 million as part of a Ponzi scheme. 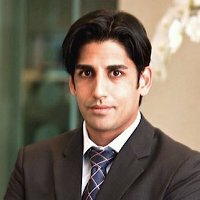 The Financial Industry Regulatory Authority Inc. expelled Success Trade Securities, an online brokerage, and its founder, Fuad Ahmed, for raising money for the company parent company, Success Trade Inc., through purportedly fake promissory notes. The notes typically had a 12.5% interest rate and had a term of 36 months, according to Finra. 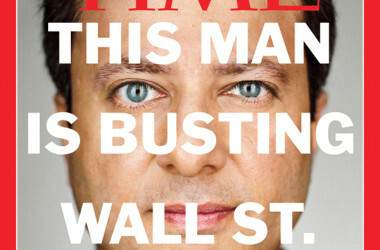 Because of the financial condition of the parent company, there was little chance they would be paid back, Finra said. Instead, the funds went to pay Mr. Ahmed’s personal expenses, including the lease on a Range Rover and balances on personal credit cards and clothes, Finra alleged. A report from Yahoo Sports last year noted that clients who bought Success Trades’ notes included Detroit Pistons guard Brandon Knight, Cleveland Browns cornerback Joe Haden, San Francisco 49ers tight end Vernon Davis, former Washington Redskins running back Clinton Portis and Chicago Bears defensive end Adewale Ogunleye.